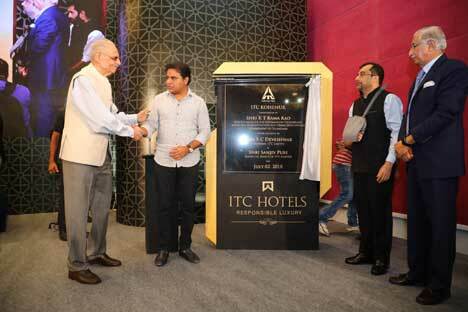 Hyderabad: ITC today announced the inauguration of its super luxury hotel ITC Kohenur in Hyderabad by Shri K T Rama Rao, Hon’ble Minister for Information Technology, Municipal Administration and Urban Development, Government of Telangana. Shri Azmeera Chandulal, Hon’ble Minister for Tourism, Government of Telangana was also present on the occasion. This iconic luxury hotel in Telangana, which is set to redefine the hospitality landscape of the State and be a destination of choice for global business leaders, is a part of ITC’s continuing investments in Telangana. ITC Kohenur which promises to provide rare and priceless experiences, has been specially designed as a tribute to the traditions and distinct character of the historic city of Hyderabad. ITC Kohenur, built with an investment of around Rs 775 crores will offer unique experiences through 271 high technology enabled rooms, suites and service apartments, 6 signature restaurants reflecting ITC’s tradition of culinary excellence, state-of-the-art meeting and convention spaces, specially crafted well-being offerings at the Kaya Kalp Spa richly complemented by the customary warmth of ITC Hotels. Speaking on the occasion, Mr. Y C Deveshwar, Chairman, ITC Limited highlighted the transformational journey of ITC and its emergence as a national institution of pride. Commenting on the hotel inauguration, Mr Deveshwar stated “Today we dedicate this jewel in the crown – ITC Kohenur – to the State of Telangana. This is yet another symbol of ITC’s continuing commitment to the socio-economic development of the State. We would like to laud the visionary leadership of the Hon’ble Chief Minister for the remarkable achievements of the State within a short span of 4 years”. He also thanked the Government for their support and encouragement in implementing ITC’s investment projects in Telangana. Shri Sanjiv Puri, Managing Director, ITC Limited also highlighted that ITC Kohenur would contribute to the State’s efforts in making Telangana a world-class destination for investments with a landmark hospitality offering. Mr Nakul Anand, Executive Director, overseeing Hospitality, Travel and Tourism Businesses, ITC Limited was also present on the occasion. ITC Kohenur, located in the heart of Hyderabad’s new business district in Cyberabad, overlooking the picturesque Durgam Cheruvu Lake, has been built according to the highest standards of environmental excellence complying with the LEED certification at the highest Platinum level, a feat achieved by all ITC luxury hotels in the country. The architecture and design of ITC Kohenur is inspired by the facets of the famous jewel and attempts to bring to life the vibrant art, culture, cuisine and heritage of the region in a contemporary milieu. Inspirations range from the striking locale of Hyderabad, to the famous Bidri work and local arts & crafts to the rich culinary legacy of the region. ITC today has a growing presence in Telangana across all three sectors of the economy –agriculture, manufacturing and services. Telangana hosts two of ITC’s largest paper manufacturing plants, located in Bhadrachalam and Bollaram. ITC’s Bhadrachalam unit is the largest integrated single location paper and paperboard mill in India and a vital core sector investment in Telangana. It is also an icon of environmental stewardship, and has been globally awarded for its green endeavours. ITC is continuously ramping up capacity at the Bhadrachalam factory with new investments that have enabled the unit to have a total production capacity of over 7,00,000 tons. ITC has recently commissioned a new technologically advanced facility – the bleached chemi-thermomechanical pulp mill–at Bhadrachalam. This unit, with a production capacity of 100,000 tonnes per annum has been set up to reduce dependence on imported pulp. The facility will also help in creating livelihoods in the agro-foresty value chain. Apart from the luxury hotel which is being inaugurated today, ITC is also investing in a state-of-the-art Integrated Consumer Goods Manufacturing and Logistics Facility in Medak. ITC’s world-class Indian brands – Aashirvaad, Sunfeast, Bingo!, YiPPee! and others will now be manufactured in this new facility spread over 59 acres, and with a built-up area of 7 lakh sq ft. The first phase of this plant is likely to be commissioned by 2019. 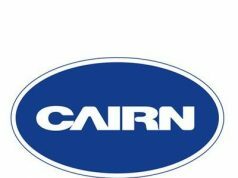 Investments are also being made in the Paperboards Business for capacity expansion and introduction of new technologies. ITC’s Businesses also anchor significant agricultural and rural development. ITC’s Agri-Business has been working closely with farmers on crop development with special focus on spices like chilli and turmeric. ITC’s afforestation programme in Telangana has already greened cumulatively over 2,10,000 acres, creating nearly 38 million person days of employment. ITC’s Sustainable Agriculture intervention today covers 19,000 acres benefitting over 9,000 farmers. The Company has also spearheaded dedicated programmes on natural resource management including Bio-Diversity Conservation and Soil & Moisture Conservation. ITC is also scaling up its other social investments initiatives in the state, including women empowerment, skilling, animal husbandry, health and sanitation. The Company’s Wellbeing Out of Waste programme has so far benefitted around 5,60,000 households.